It has been a really long time since I have played RetroSketches but I just loved the sketch this week's sketch and didn't want to let it pass. I used the colours from this week's colourQ palette. My friend Kim Heggins ofo Cupcakes, Card & Kim is a new DT member at the colourQ so Ii had to play along with her. 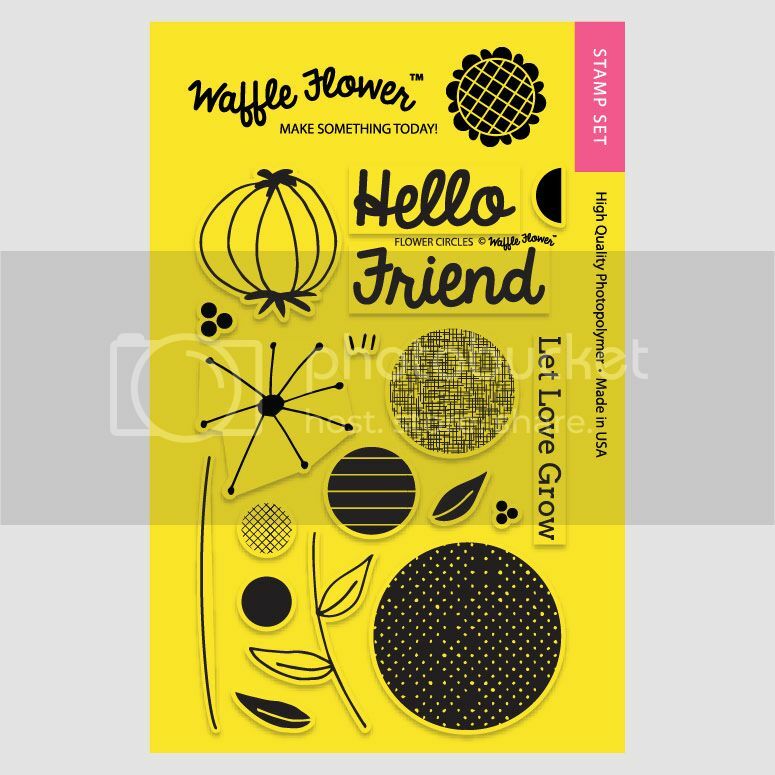 I used some new Waffle Flowers stamps for my card. This weekend is actually looking pretty quiet for me. 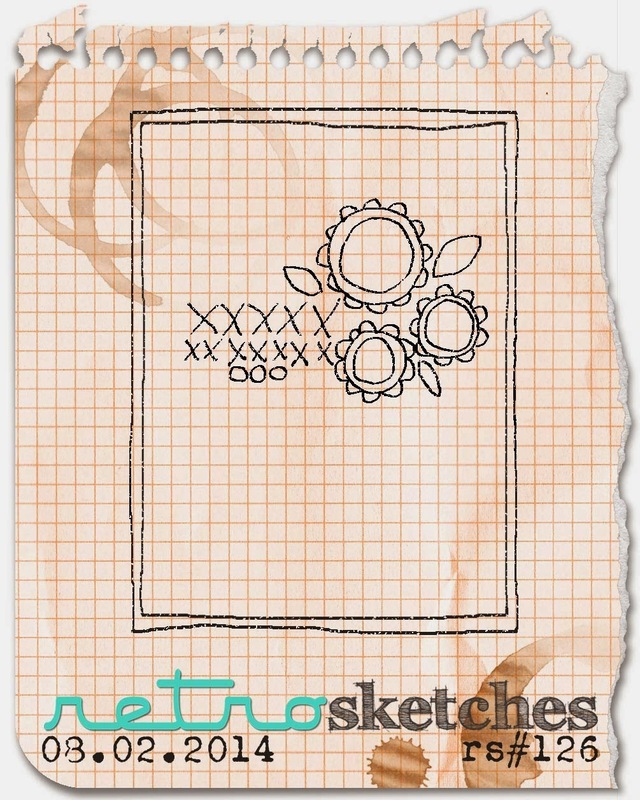 Love how you used the sketch...the mix of soft patterns is fabulous in the stamps. Love your card... also LOVE the dress in that inspiration photo!!! Quiet? Get yourself over here!!! Terrifically CAS Tracey! Thansk so much for joining us at the ColourQ! Very CAS and a fabulous way to highlight those colors and that fun stamp set. I love the patterns on the circles. It feels strange coming over and commenting on one of your Colour Q designs Tracey lol! This is so beautifully simple - love it! Super clean - great way to show off your style! I love the blues! Absolutely one gorgeous card Tracey! 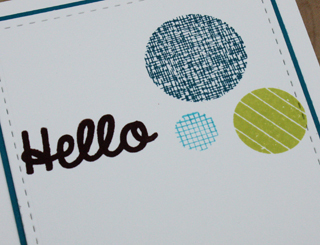 I love the dots and in these colors, such a fun way to say hello! Thank you so much for playing along with us at ColourQ this week! ColourQ and Retrosketch perfection, Tracey! 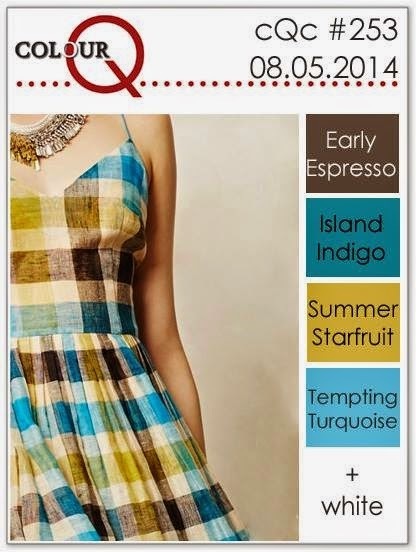 Your fabulous CAS style shines brightly here, and I'm loving those circles, sporting their charming patterns! Sweet!! Well, how sweet and simple is this! 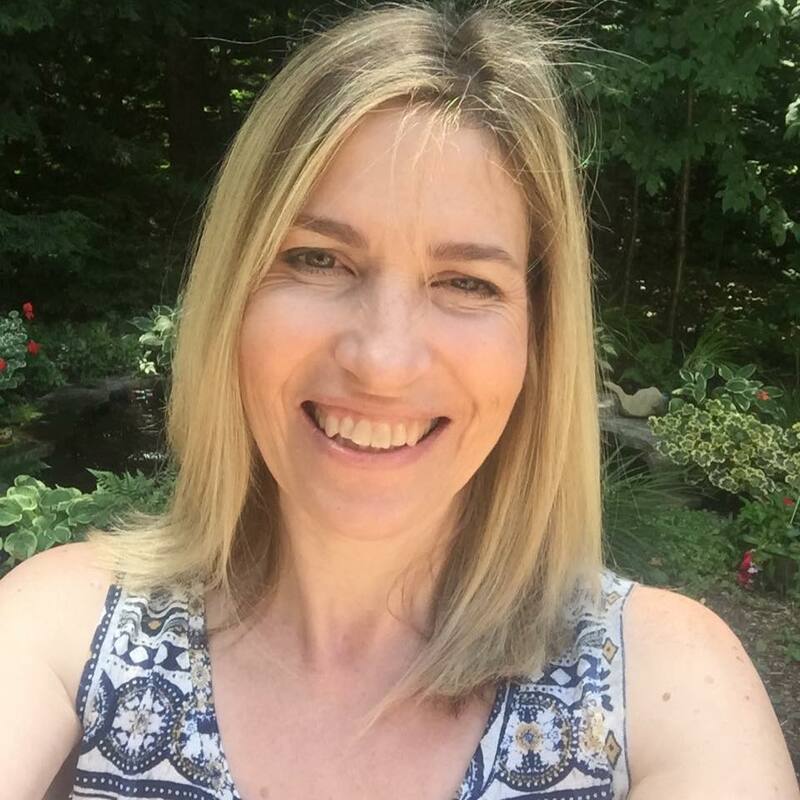 I love having Kim on our team, her work is so sweet! I love that you chose 3 different patterns for your circles! Such a fabulous example of crisp, clean, simple and perfect! Love it!! !